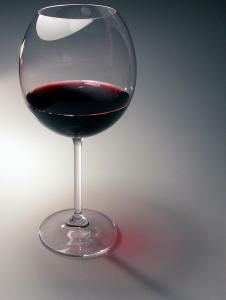 Welcome to the website of wine culture in Lithuania. The Internet page regularly provides tasting notes of wines and information about wine culture in Lithuania mostly. However, the website is in Lithuanian. We believe, wine culture might contribute to the reduction of intemperate consumption of alcohol and induce moderation in drinking and eating. Knowledge of wine helps to better understand peculiarities of different cultures as well. Wine culture in Lithuania is developing and our webpage is glad to make its contribution. Developers of this page have tasted and rated hundreds of wines since 1998 and written a legion of articles about wine in the Lithuanian press. We are grateful to Juozas and Sigitas for the design and technical supervision of the website. You are cordially welcome to e-mail us or post your comments on our FB. In vino veritas and welcome again! P.S. Due to Lithuanian laws this website is owned by the US company registered in Arizona since December 31, 2017.